If you are trying to find out the balance on your EB Games gift cards or EB Games gift certificates then you have come to the right place. There are three ways of finding out the balance of a EB Games or EB Edge gift card and after we explain them all we will also tell you how you can get cash for you EB Games gift card. Please note that the same methods apply for checking the balance of a Gamestop Edge gift card. 1) Check EB Games Gift Card Balance By Phone, Call 1-800-883-8895. 2) Check EB Games Gift Card Balance Online, Click Here. 3) Check EB Games Gift Card Balance At Any EB Games Location. After you find out the balance of your card you can either run out and pick up a new game or sell your gift card for cash. Giftah the webs premier gift card marketplace allows you to sell your card directly or list it in an auction. Either way you get cash for your unwanted gift cards. If you do choose to spend your EB Games gift card but the balance in not high enough try checking Giftah’s gift card marketplace for discount EB Games gift cards. If you have an old Walmart gift card lying around the house and can’t remember if there is any balance left on the gift card you have come to the right place. It is easy to check the balance on Walmart’s gift cards; the company has provided the following three methods for checking their gift cards balance. 2)	Check The Walmart Gift Card Balance Online, Click Here. 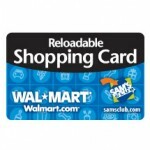 3)	Check Your Walmart Gift Card Balance At Any Walmart Location. After you determine the balance on your gift card you can go to Walmart and buy something or you can sell your gift card. Giftah offers cash for unwanted gift cards, just go to Giftah.com and list your gift card for sale on the site.